A very easy dish – quick, flavourful and exciting – and quite extraordinary! Grind the fennel & salt in a mortar & pestle. Toss the rocket and prunes together, drizzle with olive oil and sprinkle with the fennel salt. 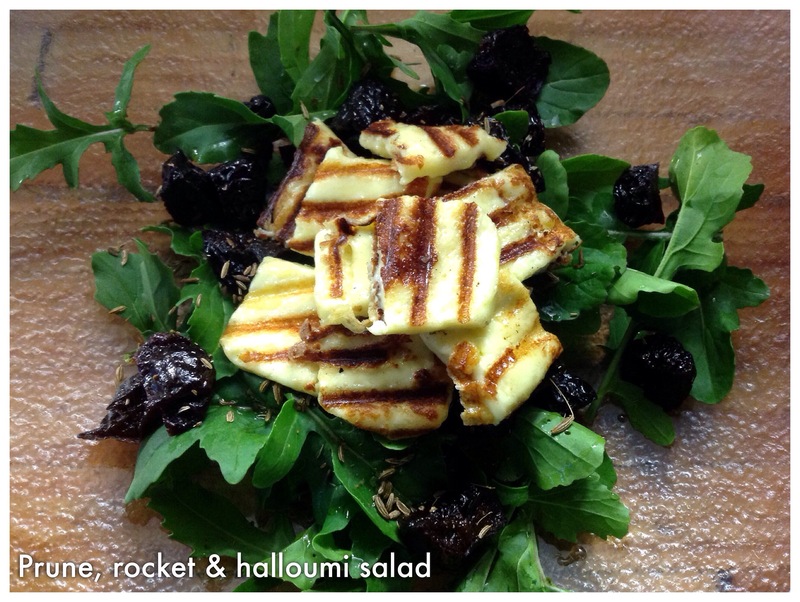 Grill the halloumi on a hot griddle pan until just melted, let it cool slightly and cut into smaller pieces. Add to salad and voila!